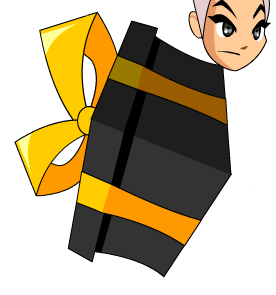 Description: A present shaped like a cape! Save this and it will magically open at the start of the new year. No peeking! Note: This item was changed to Evolved Clawspikes 11 on January 3rd, 2012. Note: This item was changed to Evolved Clawspikes 10 on January 1st, 2011. Note: Also see List of all Giftbox Capes. Thanks to Awesomewarriors1 and Na Tra.